Bluegrass Pundit: Breaking News: Suspect 31 shot and killed, manhunt underway for suspect #2. Breaking News: Suspect 31 shot and killed, manhunt underway for suspect #2. 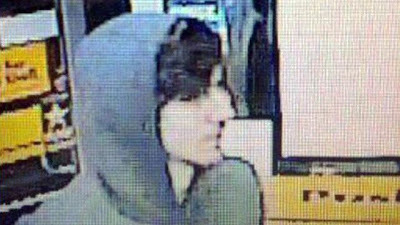 BREAKING NEWS: One of two suspects in the shooting of a Massachusetts Institute of Technology police officer has died and a massive manhunt is underway for another, who is believed to be tied to the Boston Marathon bombing. Boston Police Commissioner Ed Davis said early Friday on Twitter that one of the two suspects in that officer's shooting was killed. He said the at-large suspect, labeled by the FBI as "suspect two" in the marathon bombing, was "armed and dangerous." "We believe this to be a terrorist," Davis said in a press conference. "We believe this to be a man who's come here to kill people. We need to get him in custody." The Middlesex district attorney said the two men are suspected of killing the MIT police officer on campus late Thursday, then stealing a car at gunpoint and later releasing its driver unharmed. Hours earlier, police had released photos of the marathon bombing suspects and asked for the public's help finding them.